Once again, it’s that time of the year. The time of year when football is finally over…at least for me anyway. Whew! That was quite a season. Football and I, it seems as though we have a “love – hate” relationship. Well, I’m not sure there’s a whole lot of love involved, but at times I do enjoy it. Most of the time, it just drives me crazy. It stresses me out, and frustrates me, but for some silly reason, I keep coming back for more! But now, it’s that glorious time of the year between football and baseball. The time for something a little less stressful, a little more relaxing. It’s time for golf. That’s right, golf! Everything that football is, golf is not. Football is fast and furious…golf takes on a steady, methodical pace. Football is rough and rowdy…golf is polite, often referred to as the “gentleman’s sport” (ladies too). Football requires eyes on the game at all times…golf allows my eyes to close, my body to relax and drift off to a nice afternoon nap. Yes, it is definitely time for something a little less stressful. It’s time for an afternoon nap, and some golf! Well, this is it. The last baseball game that I will be attending this season. The 2013 season for the San Diego Padres will officially be over on Sept. 29th. It was an interesting season. It didn’t turn out quite as I had hoped, you know, like winning the division and going on to the World Series. Nope. It wasn’t meant to be. Not this year. I guess this just means that they’ve left room for improvement for next year, right?! That’s ok, I’m still a fan. I’ll be back next year, and once again it will be with high hopes, just like I had this year. A swimming pool + summer = carefree and fun! For more carefree photos, check out this link! 3 gifts in summer…These are just some of the things that I am thankful for in the summer. 1. I’m thankful for time at the beach just hanging out with my best friend. 2. I’m thankful for all the great parks in the city to hang out in with our grandkids. 3. Summer and baseball…they just go together, and for that, I am very thankful! These are just a few of the many things that I am so very thankful for today. Will you join me in looking for these gifts and sharing them with others? I watched the 2013 US Open Golf Tournament this week-end. I know, watching golf isn’t for everyone, but I really actually enjoy it. The tournament was held at the Merion Golf Club in Merion PA. It was speculated by the golf commentators that this would be an easy golf course/tournament. In reality it was a force to be reckoned with. It had its way with the golfers, and managed to devour the worlds #1, and #2 players, Tiger Woods and Rory McIlroy, without so much as a glance back. Over the course of the 3 days of play, the leader board changed repeatedly. On the last day, Sunday, it was virtually impossible to tell just who was going to walk away the winner. The leader board changed with almost every stroke of the ball. One of my favorites of the game, Phil Mickleson was holding his own and staying in the top 3. A tournament that has alluded him 5 other times up to this point. Always the bridesmaid, never the bride. It was his to win, and it appeared to be falling into place for him. At the end of the 2nd round of play he was in the lead by a very slim margin. A little too close for my comfort, but the lead, never the less. And then Sunday came. The final round of the tournament. It was Father’s Day. It also just happened to be Phil Mickleson’s birthday. The stage was set for him to take home the trophy and finally come out victorious at this particular tournament. It was a nail biter, right down to the final hole. I was cheering him on. At times I was barely able to watch. I just wanted him to win! And once again Phil Mickleson made golf history. He had some amazing shots, and played some terrific golf. But in the end, he just had one too many misses. He became the 2nd runner-up for the 6th time at this tournament. I can’t even imagine the turmoil that he experienced that evening. He said it was a heart breaker. The Padres beat LA in the home game Season Opener! It was a beautiful day for a ball game! The stands were filled to capacity, and the sights and sounds of baseball are back in town! They started the season off a little slow, but hopefully, last nights game will be an encouragement to them. Those two little words that we have been waiting all winter to hear! 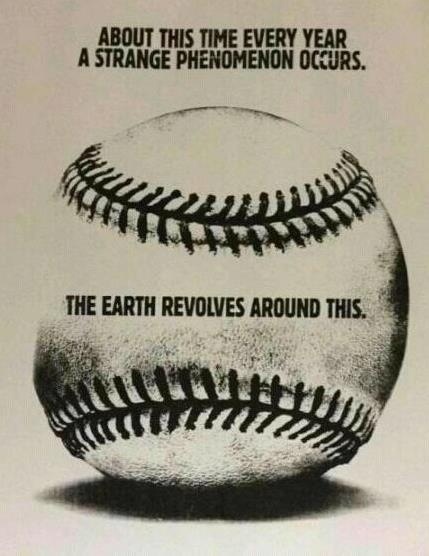 In just a few short hours, Opening Day 2013 will start for Major League Baseball teams all across the USA! The game I’m going to be watching is, San Diego Padres: @New York Mets, Monday, April 1, 1:10 p.m.